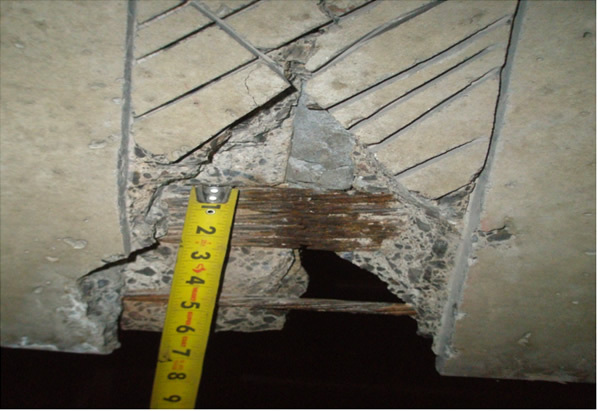 While performing pre-construction services on a precast parking garage for a forensic engineer, a large crack was noticed at the mid-span of a double tee stem in a parking garage. 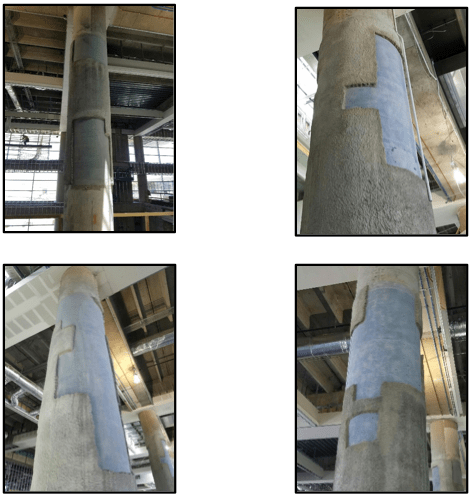 The unique stressing of the precast parking garage required our project manager to develop a creative double tee stem repair solution. 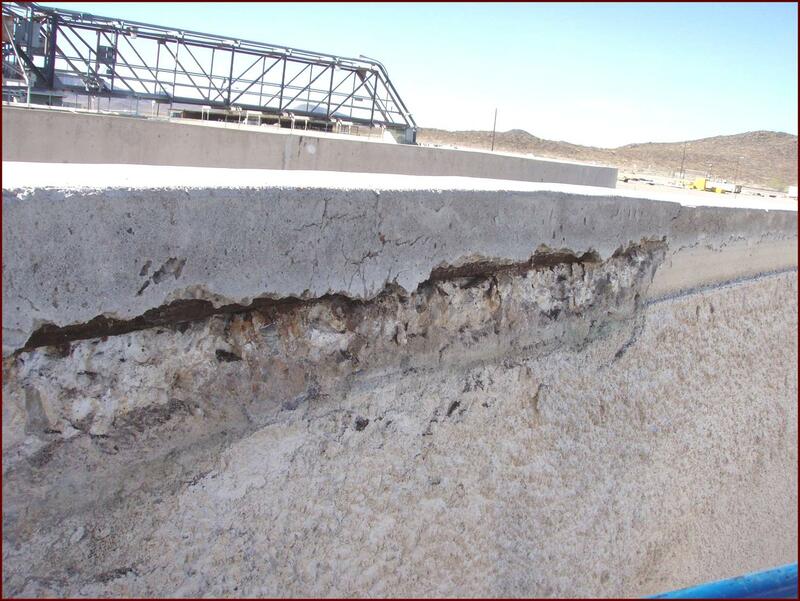 The engineer directed us to excavate into the stem to determine the cause of the crack, where we found that 6 of the pre-stressing strands had corroded and were no longer intact. The double tee had to be shored and would need to be repaired to re-establish its’ structural capacity. The work needed to be fast tracked and done while the garage remained operational. Restruction Corporation received a sketch from the engineer utilizing Grab-its, post tensioning devices, and pressure jackets to repair the DT stem. The design was not typical and he wanted to make sure the solution is a viable construction solution. We evaluated the design for him and helped determine the geometry and materials that would work. 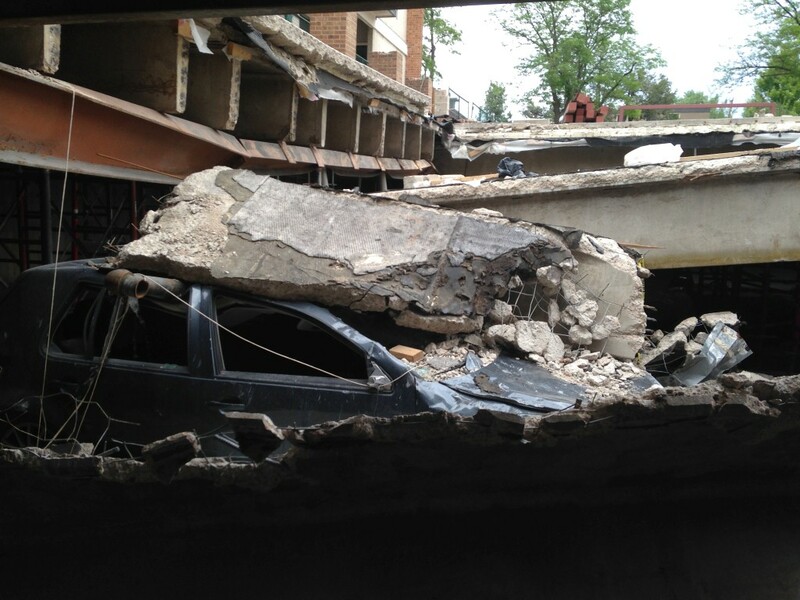 The design allowed us to execute the repair in a short time frame keeping the garage open for use. The repair is executed in three stages. Excavate the stem enough to allow installation of both pressure jackets and Grab-its. The excavation had to be done with care to make sure the pre-stressing strands to remain were not damaged in any way. Install both pressure jackets and connect the broken pre-stressing strands with the Grab-its. Pre-stressing strands entering and exiting the pressure jackets was critical. 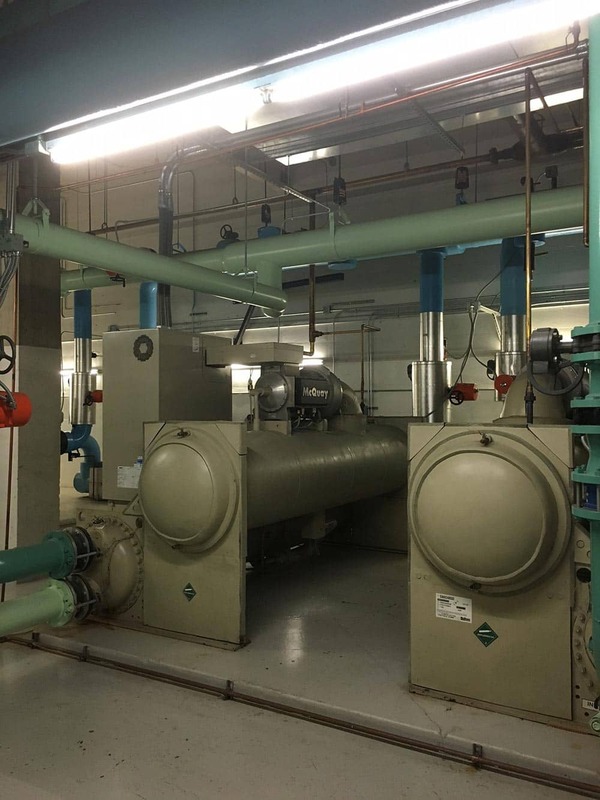 Once the system was oriented and connected we then grouted the pressure jackets full with high strength non shrink grout. 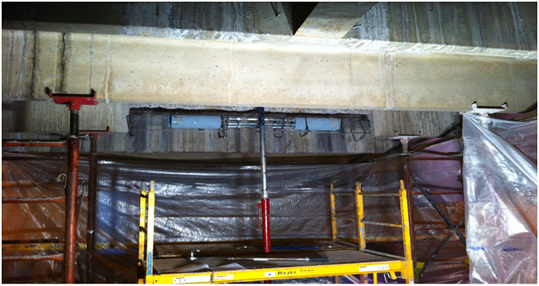 Install mild reinforcing for new DT section. The new section had to be larger to encapsulate the geometry required for the pressure jackets and Grab-it system. Form the new beam section leaving the Grab-its exposed for stressing after the new section had gained sufficient strength to transfer the stressing loads across the excavation without damaging the existing DT. Place the section with repair material and allow it to cure. Re-stress the pre-stressing strands with the Grab-its. Form and place the section left open for stressing. 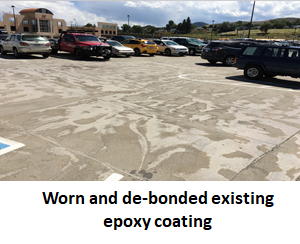 The owner was satisfied with the timely completion, cost effective construction proposal and finished product of this creative repair solution.